When I was a younger drummer, I rarely had the patience necessary to memorize anything I was working on that was longer than a couple of bars. I was so eager to get on to the next thing, that spending painfully frustrating hours just memorizing what I was working on felt like a waste. Furthermore, I think I carried over a very common bias from the rest of my liberal arts education into my approach to jazz; that is that it is less important to memorize particular facts than it is to understand the overall scheme of things. Unlike the western educational tradition, jazz comes from an older oral tradition. That is to say, information is transmitted through memory, not the written word (or note). This is not to say that reading music isn't useful, but rather that is helpful secondary skill. Essentially, just about everything that you do in jazz needs to come from some combination of your memory and imagination. At its core you have to start out by trying to absorb as much as possible through imitation. When you are a baby, you don't decide to not bother memorizing the sounds you are hearing. You just do it instinctively to be able to communicate and thrive. The same can be said of improvisation, that is memorizing may only be the first step, but if you aren't even doing this first step you can't possibly get to the point where you can communicate effectively. And here is an article that describes the process in more detail. Memorization is not discussed in great detail in the video or article because it's role is so integral to the first two steps of this process that it almost does not need to be explained. The simple reality is that improvisation happens too fast to be primarily based on conscious decisions. In other words, by the time you are thinking about it, the music is already gone. So everything that you work on has to go through this process of memorization in order to be musically useful. 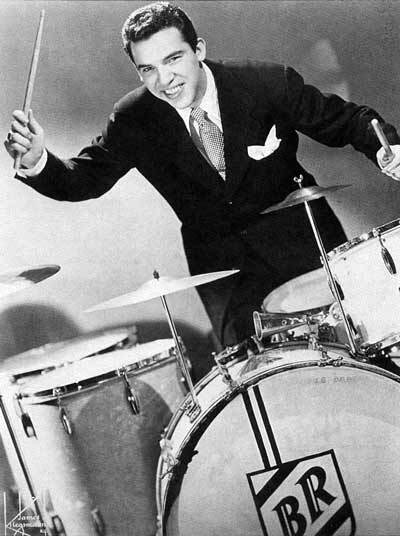 "There isn't a man among you"
Everyone has heard the stories about Buddy Rich having another drummer read a chart down once so he could hear/memorize it before burning the arrangement to the ground. Again, this is not to downplay the importance of reading, but rather to emphasize the importance of memorization. The more you do it, the better you will get at it, and the faster the process will be. This is when memorization starts to become obviously musically useful. If you can memorize an arrangement after hearing it once, you will not be wanting for gigs. I would strongly recommend spending at least part of your practice routine memorizing so you don't make the same mistake as me. Learning to be a proficient at memorization is a critical skill to develop. Challenge yourself to memorize the exercises, transcriptions, songs, arrangements, or etudes that you are working on. Try to recognize patterns and organize the music into larger sections mentally to make this process easier. Try spending time memorizing some "Modern Rudimental Swing Solos For The Advanced Drummer" ala Philly Joe and Kenny Washington.